Chances are you have failed on at least one occasion in your life. Success is often born from failure. See it as a life lesson & come back stronger than before. What separates those with a “winning” attitude from those with a “losing” attitude is how you see your failure. While you may not be able to prevent failure you can control how you react to it. It’s normal to be upset when you fail. I’m not saying to ignore your feelings. Allow yourself to feel the anger and emotional upset but do not wallow in fear and hide. Persevere: It’s okay to fail as long as you fail fast and go straight to plan B. Choose to use see your failure as a “life lesson” and use it as a springboard to your next big thing and you will feel more empowered and in control of your life and less like a victim. Feeling like a victim is lot like jumping into a boat without oars. It’s a bad move that won’t get you anywhere. In 2008 after the collapse of Wall Street my profession crumbled under my feet. From 2008 on my income was cut in half year after year after year until I was living off my hard earned savings. I eventually I sold my home to get out of debt and so I wouldn’t go broke. It was hard to give up my dream house and move but you know what? No one said “boo” about it. The only noise I heard came from in between my ears. The great thing that came out of it was that I was so eager to find a new profession where my destiny was under my own control that I decided try blogging. My first blog was born in 2008. It was pretty awful and I knew it. Since my background was in banking and finance and I’d been trained in financial planning I decided I would be the next Suzie Orman. I set up a website dispensing financial advice but I soon grew bored and began writing what was in my heart; personal-development articles. Eventually I walked away from it. It’s hard to keep up your enthusiasm for a topic you aren’t interested in. I learned a lot and when I finally decided to start my second blog in 2010 my past experience made all the difference in making Powered by Intuition a success. 1. I realized I hadn’t followed my heart (my intuition) when I decided to be a financial blogger. This realization was the catalyst for starting Powered by Intuition. What You Can Do: Listen to your intuition and follow your heart so you go with the flow instead of against it. Doing something purely for the sake of making money (unless you love it) will burn you out. Listening to your intuition is how you will find that thing that lights you up. Here’s a secret for you…..the reason you’re attracted to “that thing that lights you up” is because inside you already possess the talent and ability to do it! You wouldn’t be pulled toward doing it unless it was already a talent innate to you so, the point is….you’re meant to do it. 2. Forcing myself to post on my financial blog was a lot like going to work every day. It wasn’t what I really wanted to be doing. I found a million other things to do just when I was about to sit down to write. Here’s A Clue: Forcing yourself to be a “round peg in a square hole” is a big clue! Where are you doing this in your life? This area may contribute to a downfall so act as soon as possible to get on the right track in your life. Remember, you have to have a burning desire to do whatever it is you want to do or it will always feel like work and drain you. When you zero in on what lights you up your life will flow much more easily because even when you encounter challenges and setbacks (and you will) you’ll have a stronger desire to work through them. 3. After a few months I ran out of inspiration to write for my financial blog. I was a subject matter expert but I wasn’t passionate about it. You have to be passionate about what your doing. Find your WHY: Passion and being on-purpose along with business savvy are mutually important factors in success. There’s an ongoing debate between whether you should follow your passion or not. I believe you need to be inspired by what you’re doing and what inspires you is what you have a passion for. You need to have an underlying reason why you’re doing it – and it can’t be just “to make money.” The “why” will sustain you and feed you to apply creativity to the product creation and problem solving aspects of your business. 4. I had no training as a blogger–and it showed. I didn’t know that blogging was different from the freelance writing I’d been doing for local newspapers and magazines. Having a blogging mentor after I started PbI was one of the smartest things I did. I learned the real ins and outs of how to get traffic, write for a blog, SEO, keywords and much more. Get a mentor: There are mentors who have done whatever it is you want to accomplish. Don’t waste precious time trying to figure it out yourself. Get help early on in your venture. Do not talk yourself into waiting until you make the money to afford a mentor. This is a huge mistake. The way to succeed is to learn what works the first time. Doing it on your own doesn’t mean you can’t succeed it just ensures that you will take much, much longer because you’ll make mistakes that set you back. 5. When I was writing my first blog I was alone on the world wide web. There was no one to comment on my posts and no one to “talk shop” with. Most of my “real life friends” had no clue nor any interest in what I was doing. They were flummoxed by the amount of time I was putting into my new venture. Joining a community of people I found support, mentorship and like-minded people who had the “blogging itch” like me. I consider some of these people to be among my best friends now even though we may be separated by thousands of miles. Don’t go it alone: Joining a community of like-minded people bolsters your confidence and helps you achieve your dreams. They “get” you even when your own family or friends don’t. This is really important if you are going to be among the small percentage of new ventures that succeeds. If you listen only to the “nay-sayers” you’re going to give up before you give yourself a fighting chance to succeed. Of all the things I do in my online business writing about intuition and personal-development is always at the top of the list along with private client work. I’m so grateful for my failure as a financial blogger…and for the fire the collapse of Wall Street put under my feet to find something else to do with my life or I wouldn’t be here writing this today. How do you see your own failures? Are they life lessons? Did you use them to springboard to your next big thing? If you enjoyed this post share it with a friend on Twitter, Google+ or Facebook. Thanks! P.S. Are you looking for support for your online venture – click here. How can you play BIG in your life? How can you step into your own inner authority? Numerology is one way for you to play big and recognize your strengths. It allows you to see patterns and themes that are normally hidden and simply seen as fate, luck or accident. But, you can utilize Numerology to lead a happier and more expansive life. You can start utilizing the benefits of Numerology by noticing the overall theme of the current year. In Numerology each year is part of an ongoing 9-year cycle, and each year has a distinct theme, such as beginnings or endings, and brings new opportunities and possibilities into your life. I’m often asked how to best take advantage of the options and choices available in a new year. One of the best ways is to simply be mindful and open, so you can work with the theme and energy of the year, rather than struggling against them. When you ‘re able to see and work with the potential available within a particular year, rather than being caught in a struggle and trying to swim upstream, you’ll be better prepared to move with the flow and more easily make any needed decision, change or transition. This means you will want to understand the prevalent Numerological themes for the year and work with them in your own life. The overall theme for the year is described by the Universal Year number, which provides details about how the year will look. This number influences everyone and there is also a Personal Year number, which only influences you. In general, each number relates to particular characteristics. The number 1 relates to beginnings, while the number 7 relates to strategy and insight. As a Universal Year of 7, 2014 provides space and time for remembering, patience, reflection and reviewing your life. 2013 has been a Universal Year of 6, which involved compassion, care and support. This year many of us have felt the urge for greater self-care, and inner and outer support. Now, 2014 allows us the chance to settle down and look within. How can you settle down? You can begin by finding ways to witness yourself, and develop a curiosity about the mystery of your own life. Curiosity helps you to remain open to your possibilities, but it also helps you to find meaning and value in your life. Be curious about the needs of your heart. It’s likely that you already know what your heart is yearning for. Are you willing to pursue it? Deep inside you have probably long felt a pull toward a certain direction or decision. Your decisions can bring incredible shifts, change and transformation, if you’re willing to listen to your own inner guidance. Settling down and stepping out of the noise and static of everyday life will aid you at this time. Having a mindfulness, centering or meditative practice will help you to find calm and allow you to more deeply connect with your heart. Again, be curious and be willing to ask important personal questions that can aid in your reflection. Am I still moving in my desired direction? What would I like to create? What divinatory tools might I use in my own reflection? How do my choices allow me to step forward? What have I been delaying? Where can I find the help I need? What has my heart been yearning for? As we enter 2014 you can best aid your own transition by spending time in personal observation and reflection. Use whatever tools work best for you. The questions above will help, but you will also wish to mindfully observe yourself, take up yoga, or start keeping a journal. Simply know that now is an ideal time to remember and act on what’s important to you. These tools, and others, can help you to slow down and notice yourself and your heart. Focus on connecting with your heart and the yearning within it. Be aware of the things you’ve been holding off. You only have this moment. What have you been delaying until the time is right? By delaying your choices, you’ve been denying your power and living in a diminished capacity. However, this process is not about labeling yourself as right or wrong. It’s also not about guilt or shame. It’s simply about acknowledging your creativity, passion and courage. It’s about waking up to your life. And, it’s understanding that we’re all creative, and your creativity can help your life to unfold in ways you haven’t thought of. Many of us tend to get trapped or locked in an egocentric view of the world, which is limited and constricting. We get caught up in worry, competition and control. Letting this mode of living go, and living from your heart, is a way in which you can open your life up to new possibilities and situations you might not have even been aware of before. Have value for your life and no longer willingly being dismissive of your heart or your aspirations. You are unique. Your heart offers particular guidance, because of your gifts and your individuality. Your decisions and actions can help you to heal and inspire others. As we all decide to follow our hearts, we can inspire others who can then move on to make their own shifts and changes and these changes can then can bring transformation to individual communities and ultimately the world. It starts with you. You have purpose. Your mission begins by following your heart and living an expansive and courageous life. Use the tools that speak to you so that you can bring mindfulness and awareness into your own life. Spend time reflecting and rediscover who you feel you truly are. You can work with Numerology to develop a deeper understanding of your life, needs and desires. Together, we can work your chart to help you see your own personal themes and patterns. We can review the energy available during this year and look to see how it matches the energy of your Personal Year. Working in depth with Numerology will allow you to live on purpose, and be expansive, expressive and creative. What questions do you have for Rob? Use the comment section to share your questions, thoughts and experience with numerology. Did you enjoy this post? Why not share it with a friend on Twitter, FB or Google+? P.S. 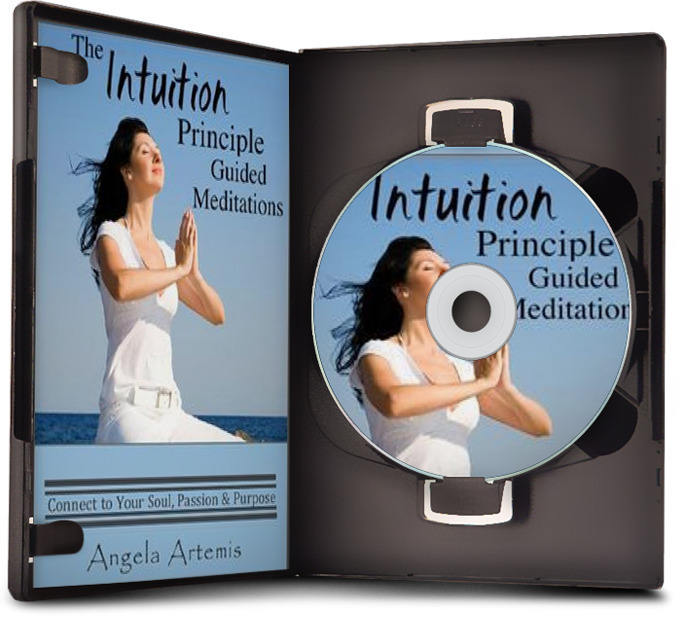 Now is a great time to make a resolution to develop your intuition: Click here for sale pricing! Affirmations Not Working? Try “Afformations” Instead! If affirmations haven’t worked try “Afformations” instead. 1. Can you explain the difference between an “afformation” and an “affirmation? An affirmation is a positive statement of something you would like to be true in your life. The problem is that most people don’t believe the positive statements they’re saying. That’s why I invented Afformations, which are empowering questions that activate your brain’s embedded presupposition factor – which means that when you ask a question, your brain is wired to start searching for the answers. Success anorexia is a condition that causes people to starve themselves of success. Symptoms of success anorexia include self-sabotage, holding yourself back from success, and driving down the road of life with one foot on the brake. That’s when I invented Afformations – empowering questions that immediately change your subconscious thought patterns from negative to positive. I think the people who will benefit most from The Book of Afformations are the people who have already spent lots of money on every self-help or “money-making” program out there… but still feel stuck. That’s because Afformations have helped over 250,000 people in 178 countries to make more money, lose weight, improve relationships, and find peace of mind faster, easier, and with far less effort. 4. How has using Afformations affected your own life? Can you give us some examples of its benefits? Thousands of people have written to me from around the world, thanking me for giving them “the missing piece” and the “secret sauce” to an abundant lifestyle. While I couldn’t pick one single story out of the thousands, one of my favorite real-life Afformations success stories comes from Susan, who came to us “penniless” (her word) and $56,000 in credit card debt. She had also spent tens of thousands of dollars on every “self-help” program out there, but was definitely struggling. She heard about Afformations from a friend and decided to try it. In less than 6 months, Susan had found a job as a TV producer for a national television show, had built a six-figure income, and has just finished writing her first book. We also have stories of people who have used Afformations to find the love of their lives, grow their business, get more clients, and find freedom and happiness. 5. What impact will following the Afformations System of: Ask, Afform, Accept & Act have on readers’ lives? Should readers expect to see changes in their lives and if so, how quickly? Afformations aren’t magic; they’re science. The irony of Afformations is that every person on Earth is already using Afformations – they just don’t realize they’re doing it. Also, many people are skeptical of “self-help” teachings because they’ve spent lots of money on other programs that haven’t produced the results they were hoping for. For example, Brandon was an insurance salesman from Salt Lake City. He had spent over $30,000 on every self-help program under the sun… but he was still stuck, broke, and making less than $1,500 a month. After he heard about Afformations from a friend, Brandon decided to try it – even though he was very skeptical. But the results were amazing. In the first 30 days of using Afformations, Brandon’s sales tripled. And by the end of the year, his income had increased more than 560% over the previous year. Have you tried affirmations? What were your results? Are you willing to try afformations instead? If you enjoyed this interview please share it on Twitter, FB or Google+. Thanks! P.S. Love books? 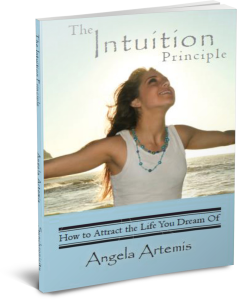 Check out mine on intuition development: Click here!. Author Bio: Noah St. John is a personal development expert and the author of “The Book of Afformations.” Check out his book and get a bonus chapter of his book here. This is a guest article by Neil Maycock for Powered by Intuition. Editor’s note: I am not an advocate of pumping up productivity at the sake of getting less sleep. The body needs a good night’s sleep and will function much better when we get the right amount. We also receive intuitive guidance from our dreams. If we cut our sleep time – we are cutting out several sleep cycles and may lose out on receiving vital intuitive guidance via our dreams. Sleep loss and being tired during the day will also block your intuition so, if you are having trouble sleeping – listen to your intuition – and try these tips shared by Neil Maycock to get a good night’s sleep. After having gone through a difficult day it is always a pleasure to go home and have a good night’s sleep. Sleep is important to re-energize our body, especially if the following day is going to be another busy one. Sometimes, for a range of reasons, we can’t sleep at night. There are many possible reasons why a person is finding it difficult to sleep. But the fact remains that if you don’t get that sleep, tomorrow is going to be a much more difficult day than it was supposed to. You need to do something about that. In a situation like that, aromatherapy essential oils can come to help. There are indeed oils that can help relax the body and enable it to sleep comfortably. Here are some of the oils you can rely on. This essential oil offers an aroma that is soothing and refreshing. It can be really useful when you feel stressed as it brings balance to the body. If you had a bad day, this oil can help you wind down before getting into your bed. Sometimes you are anxious without even knowing why and lavender will help calm you down. If you are dealing with insomnia, you might want to try chamomile. Chamomile has been used to help people dealing with post traumatic shock disorder, depression and loneliness. Intense fear, anxiety and irritability can also be dealt with using chamomile. It helps calm down the body. The aroma coming out of this oil has a sedative effect on the brain allowing a person to sleep. The neroli oil invokes a feeling of joy and happiness whilst driving away depression and anxiety. Your mood will be uplifted with the aroma coming out of this oil. You can also rely on it to help compose yourself. Benzoin is a stimulant and antidepressant which also has relaxant and sedative powers. It’s been used in different religious ceremonies around the world to uplift the spirit. Nervousness, stress and tension can be relieved using this oil. It has a tranquilizing effect that will help you forget about the bad events of the day. This is another effective antidote for depression and emotional problems. If offers a clean citrus refreshing aroma that has a toning effect on the nervous systems and helps deal with psychological disturbances. There are many ways one can choose to use the oils mentioned above. The main methods are massage, diffusion and inhalation. You can choose to inhale the essential oil by just putting your nose next to the opening of the bottle and breathe deeply in, or put a few drops onto a handkerchief or tissue and inhaling the aroma. You can also put some drops of the oil in a bowl of hot water, sit down and bend over the steaming bowl, cover your head with a towel and inhale the aromatic steam that comes out of the bowl. The disadvantage of this method is that once the water cools down and the effect of the aroma goes away progressively. You might wake up in the middle of the night needing another session of steam inhalation so then the oil on the tissue would be a suitable and practical alternative. There are different massage techniques used to relax the body. The combination of massage and essential oils even works better. This technique allows the compounds inside the oil to be transferred directly inside your body through your skin and the effect is almost immediate. The downside of massage is that you might need a professional to help you out. You can’t massage all your body by yourself. The good news is you can still take a bath with a few drops of the essential oil you want in the bathtub. That should help and you can massage oil into much of your body whilst in the bath. When finished you can then soak in the bath and luxuriate in the oils and their wonderful aromas. The effect of massage and a bath might be much more long lasting compared to inhalation but the effect may still fade away throughout the night. Diffusion might last longer. Diffusion is a technique used to spread the aroma of an essential oil in a room. One very simple way you can do this is by getting diffusion candles. There are many of those products in the market. Just by lighting one of those candles you are guaranteed to have a long lasting effect of the essential oil for a whole night. The candles are made to last long so they will keep the room’s atmosphere exactly the way you need it to be to have a good night. You need to be careful when using candles though. Make sure to put them in an area where they can’t cause a fire. Alternatively you could use a reed diffuser which keeps the aromas coming all day and night. The strength of the aromas really depends upon the size of the room it is situated in. Try and keep it placed away from windows and doors where the aromas will escape and dilute quickly. There are many other oils that you can use to help you sleep. The ones mentioned above are just the most popular ones. You can also choose to come up with different blends to improve on the effect. Remember always go for naturally produced essential oils, not the artificially produced ones. 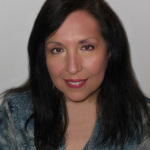 Would you like to receive intuitive guidance via your dreams? Have you tried essential oils to induce sleep? Tell us about your experience. If you enjoyed this article please share it with a friend on Google+, Facebook or Twitter. Thank you. P.S. 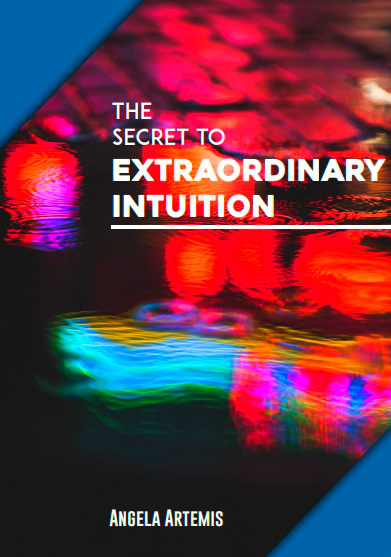 Learn how to tap into your intuition for guidance for your life: Click here.